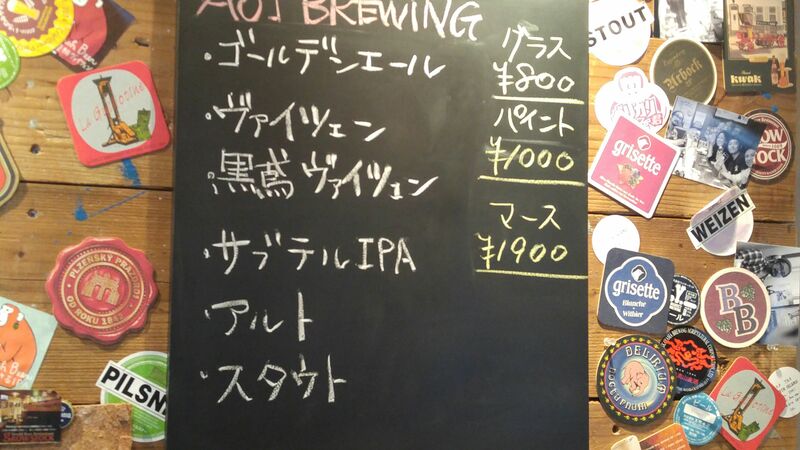 New craft beers are coming fast and furious at Aoi Brewing in Shizuoka City! Actually, there is a lot of experimenting going on as bottled beer is about to come out, too! “Kuroi Tonbi/Black kite (the bird! )” Weissen! Originally conceived as Brown Weissen TYpe! Barley, Wheat, Chocolate malt, Black malt, Munich malt, Dark crystal malt, Topaz hop, Tettnang hop, live yeast. Aroma: discreet and fresh. Biscuits, bread. Taste: fresh, deep and fruity attack quickly turning to a pleasant acid note. Lingers long enough for true tasting before departing with hints of honey and acid oranges. Alcohol will surge forward with rise in temperature. Tends to turn sweet with food. 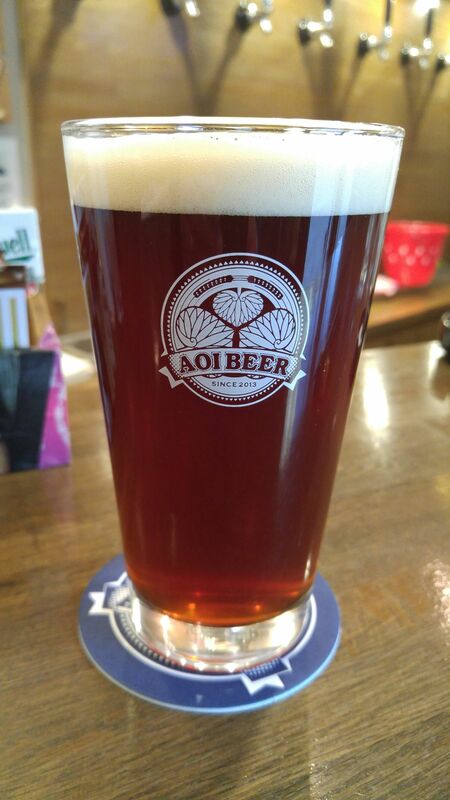 overall: A new type of craft beer for Aoi Brewing! Planned originally as Brown Weissen type. Very solid but easy to drink craft beer! Suggested pairings; nuts, cheese, pork.